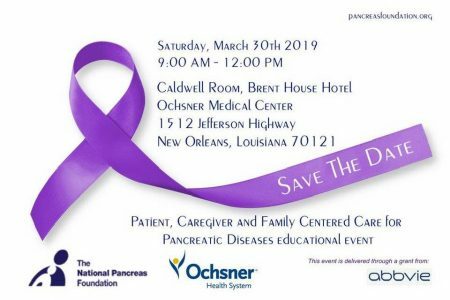 For those in New Orleans, the Louisiana chapter of the National Pancreas Foundation will host its first fundraiser at Times Grill in Mandeville, Louisiana where 15% of the proceeds that night go to the NPF. Please join us on Giving Tuesday (November 27th) to help those with pancreas disease. Thank you to Times Grill Mandeville for hosting the event. We hope to see you there! 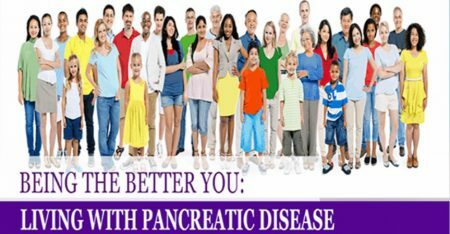 The National Pancreas Foundation North Carolina Chapter and Duke University Medical Center, Division of Gastroenterology jointly host a Patient, Caregiver and Family Centered Care for Pancreatic Diseases educational event. 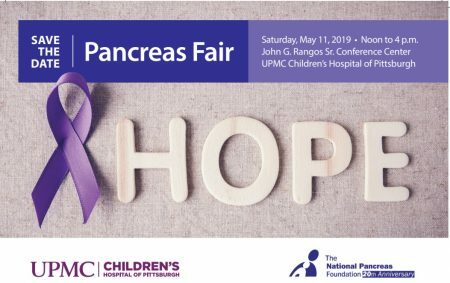 The main goals are to increase understanding of the immediate and long-term impact of pancreatitis on health, ability to function; to discuss the approach to getting your voice heard; approaches through mindfulness as method of pain relief and helping you understand if a total pancreatectomy is right for you. 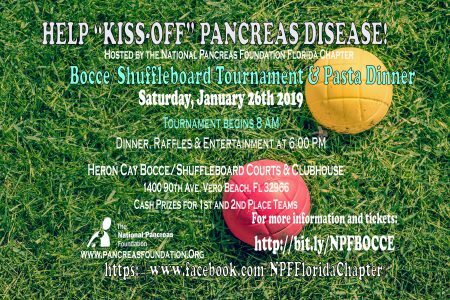 We will also discuss updates and resources available at the National Pancreas Foundation (NPF) National Office, the NPF North Carolina Chapter and the approved centers at Duke University and the Carolinas Medical Center. Attendees should register for 3 of the breakout sessions (Please check and confirm your sessions at registration). – Total pancreatectomy: Is it right for you? The event is free and open to all physicians, patients and caregivers; parking is free. All attendees need to sign up by Midnight on November 25th, 2018. 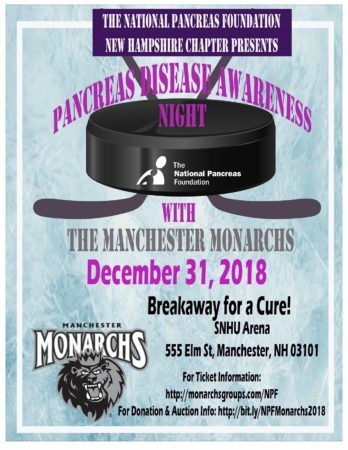 The NPF New Hampshire Chapter and the Manchester Monarchs are facing off against pancreas disease on December 31, 2018 at SNHU Arena! 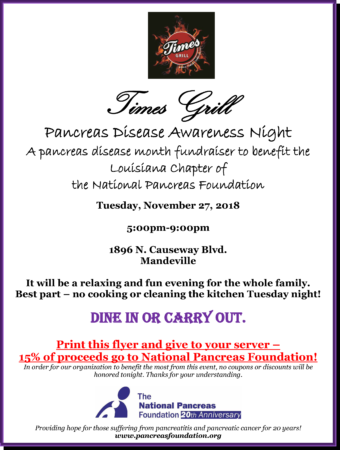 Every ticket sold, $4 will go towards the NPF! We hope to see you on New Year’s Eve!